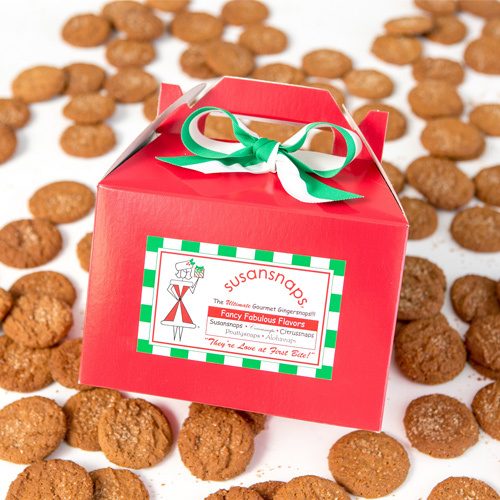 We’re shipping in order we receive and, as of Tuesday 12/11, we can’t guarantee Christmas….but we do promise delivery! 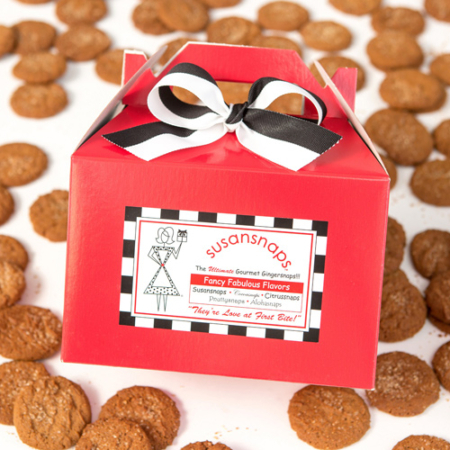 The More the Merrier couldn’t be truer with this one! 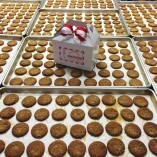 One Gloriously Grand Box filled with 60 gourmet gingersnaps. 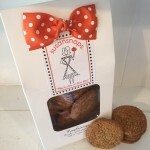 1 gift box filled with 60 of our delectable original Susansnaps – our most popular flavor! 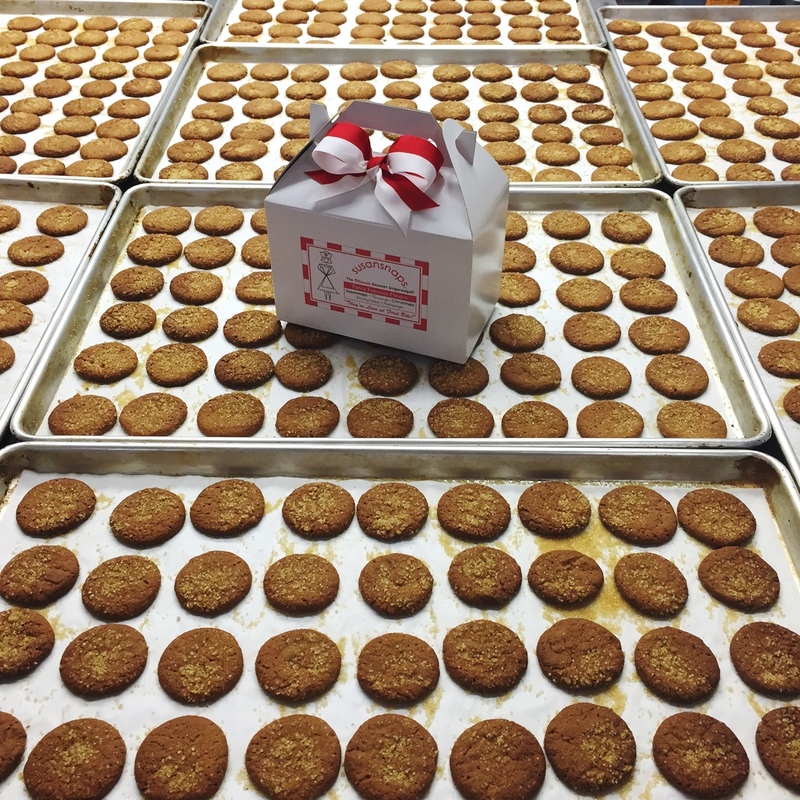 One Great, Grand, Glorious, Gift Box filled with 60 gourmet gingersnaps. 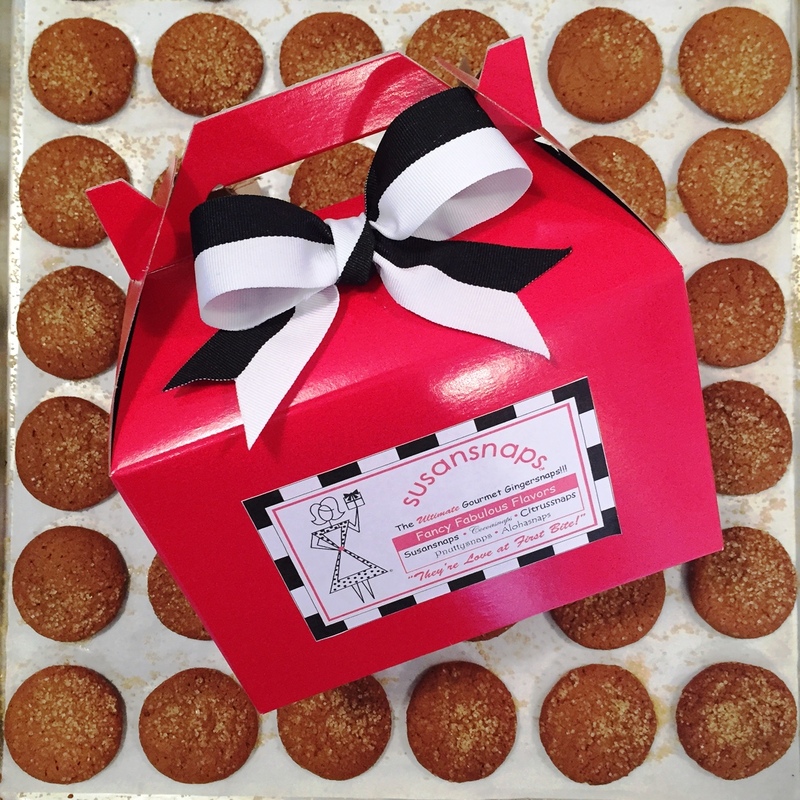 1 Box filled with 60 of our original, ultimate gingersnaps. 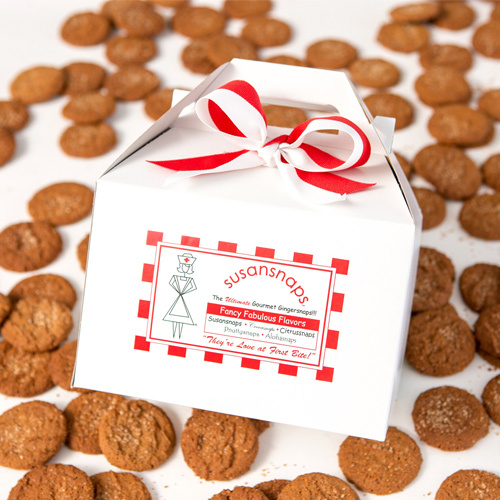 (Inside the box: 3 clear poly bags of 20 snaps each) Cookies stay fresh four months and can be frozen up to a year. 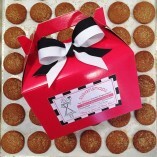 For mix & match flavors, please call. 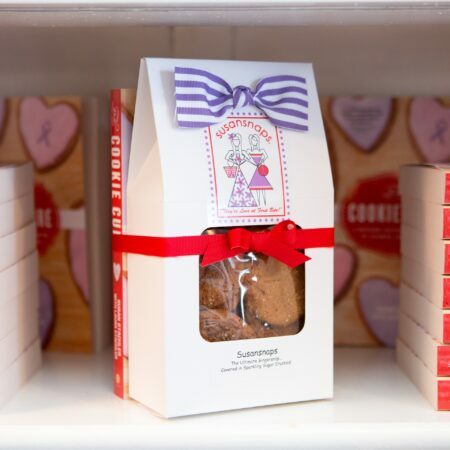 We’re happy to customize your Grand Box with 1, 2, or 3 flavors.